(file photo) Mehdi Karrubi has been missing for six weeks, according to the International Campaign for Human Rights in Iran. Tehran, Iran (CNN) -- Iranian opposition leader Mehdi Karrubi has not been seen for six weeks and may be facing psychological torture by the government, activists claimed Monday, citing sources in the country. 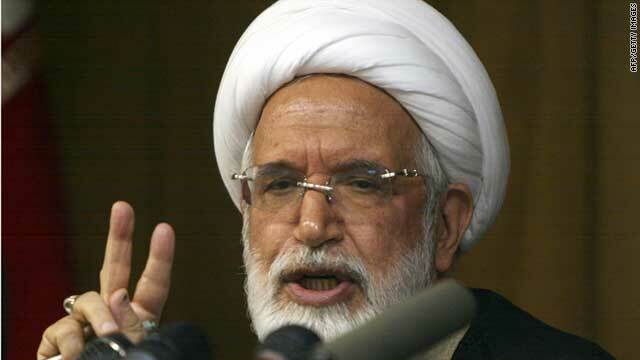 "We are extremely concerned for the health and well-being of Karrubi, who is 74 years old, and no one has heard from him for six weeks, not his wife, any family or associates," said Hadi Ghaemi, the director of the International Campaign for Human Rights in Iran. His wife said she had not had any contact with him since July 16, the campaigners said, citing the opposition leader's official website. Ghaemi alleged that Karrubi is "surrounded by a team of psychiatrists working with his captors" to try to manipulate him into a televised confession. He cited "a credible source from inside Iran," without saying who it was. An opposition website said February that both Karrubi and Mir Hossein Moussavi, another opposition leader, had been detained. The website, Kaleme, citing "trusted sources," reported that the men and their wives had been arrested and taken to Tehran's Heshmatieh prison. The semi-official Fars news agency denied the report, citing an unnamed judiciary source, but it had earlier said that the government had restricted the movements and communications of both men. The two, who are both former government insiders, both ran for president against Mahmoud Ahmadinejad in the disputed 2009 election that led to months of protests and a government crackdown on the opposition. Iranian authorities rounded up opponents afresh in February, as revolutions swept the region. Iran media said Monday that that Karrubi was being kept in an unknown location but did not include any comments from Iranian officials. International journalists have been limited in their ability to gather news in Iran, where the government has squelched the media and maintains tight control over state-linked news organizations.